Gilbert Goh finds that labour laws here not adequate. Having met more than a dozen unemployed Singaporeans either through my unemployment support site transitioning.org or my own personal contacts, I observed that there are two main issues that frustrate them. One is the huge influx of foreigners into our labour force during the past few years and the other is the age bias in seeking employment that seems to have gotten worse recently. A weekend visit to Han’s restaurant at Harbourfront shocked me as the four staff working there were all Filipinos. From the person that took my order to the cashier and chefs, they were all foreigners happily going about their jobs. The only thing that stood them out from the former Han’s staff that I had seen previously, was the age difference. All of them appeared to be in their twenties. I found myself paying for my order grudgingly. Are mature Singaporeans not able to fill such positions even if they were much older and were a little slower? Must employers continue to fill in service positions with foreigners while claiming that locals refuse to work longer hours for miserable pay? Are all the employers’ complaints valid? I am sure that for every Singaporean’s refusal to work at such service jobs, there should be another who do not mind such work. This is especially so in this time of economic downturn. Let us not generalise and condemn the working attitude of Singaporeans just because of a few black sheep. 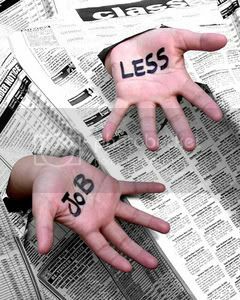 I share the sentiments of the unemployed on both concerns. At the age of 47, I too face mammoth pressure in securing employment in a hiring practice that borders on discriminatory. Some employment agents have told me in private that employers continue to look at candidates below the age of 35 years old. Some unemployed who responded to advertisements for face to face interviews were often rejected when they revealed that their age is above 40. If you called in a recruiter and said that you are 40 years old, they would reply that they want someone below 40 years old. If you called in and said that you are 38, they will reply that they prefer someone below 35 instead! Our labour hiring laws do seem to allow such discriminatory employment practices to prevail. Amazingly, employers seem to get away with such archaic third-world hiring practices in a first world, developed country. Many I spoke to lamented that they have nowhere to turn to now as they face massive obstacle in being rehired due to their age (40-50 years old). Many who are able are seriously considering the idea of applying for emigration to countries such as Australia or Canada – countries which have strong laws against age-bias hiring practices. I do not blame them for taking such a drastic move because if you cannot find employment in your own country, due to your age, then it makes sense to venture abroad where there is at least some legal protection against discriminatory hiring. The Aussies have very strong anti-discriminatory hiring practices. When a jobseeker send in his resume, he can choose not to accompany it with his address, race, gender, age, religion and photograph. The employers only decide to interview the candidate based on his working experience and qualification. As Singapore continues to grapple with the severe downturn and an ageing workforce, let us hope that the government will tighten hiring practices so that our local workers will be able to face the future with confidence and, most importantly, pride. In the meantime, the future does look bleak for those who are matured in age in Singapore. TOC Facebook: TOC meets with senior American journalists for coffee.